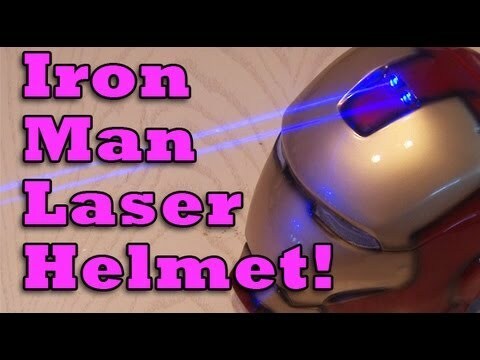 Iron Man adds a laser to his helmet! It burns through things! CAUTION!! Lasers can be dangerous! Do not point them at any living thing! DO NOT look into the beam or the reflection of the beam. Do not shine them into the sky. Always wear safety goggles. ← Remote Control Fireworks Igniter! Boom!